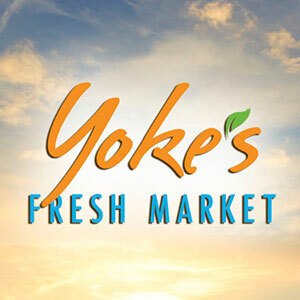 Effective yesterday, Yoke's Fresh Markets formally acquired all Trading Company Stores throughout the Inland Northwest. The new Yoke's locations include stores in Post Falls, Spokane, Spokane Valley, and Cheney. In the coming months, each location will be transformed into a Yoke's signature Fresh Concept store. Guests can expect uninterrupted services as stores will stay open through all renovations. The Trading Company was founded in 1994 as an independent grocery retailer based in Bonners Ferry, Idaho, co-owned by Paul Matejovsky and Gary Morgan. Headquartered in Spokane Valley, Yoke's Foods, Inc. is an Employee-Owned company with locations in North Idaho, Eastern, and Central Washington. In business for over 70 years, the acquisition of the four Trading Company stores will bring the total number of Yoke's locations to 17. 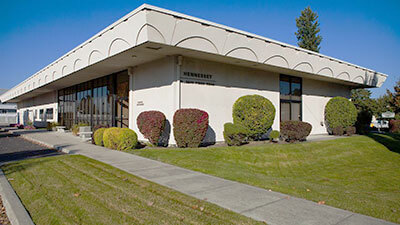 Hennessey Funeral Home & Crematory in Spokane Valley has opened a new reception center on site at 1315 North Pines Road. According to managing partner Scott Dahl, the reception center was created because many baby boomers are leaning toward a celebration of life followed by a party. The new Hennessey reception center on Pines Road offers an open modern design, with comfortable seating for 100 plus. The center can also be rented for other events. They are having an open house on Thursday, September 15 between 5 and 7pm, with live music, a wine and cheese bar, as well as dessert and coffee. The Kitchen Engine at 621 Mallon in the Flour Mill is celebrating 10 years in business with an anniversary event this Wednesday through Friday, September 14-16. 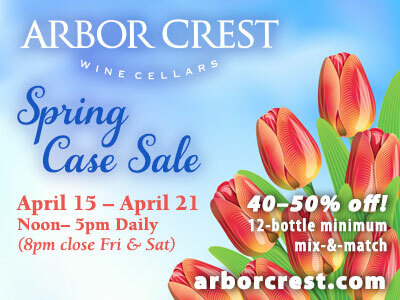 They are offering over $3,000 in door prizes that range from coffee to cookware. Factory reps will be in the store to answer questions about their products and offer cooking demos. Local chefs will be cooking up special recipes in the kitchen. Get details at their website the kitchenengine.com. Ryan Johnson has opened a Mr. Sandless location serving the Spokane-Coeur d'Alene area. Mr. Sandless is the number one volume wood floor refinishing company in the world. The original model, Mr. Sandless Philadelphia has been in operation since 2004, and has serviced more than 20,000 unique residential clients along with hundreds of commercial properties. Mr. Sandless started offering franchises in 2006, and has opened 265 units run from more than 145 locations. Mr. Sandless has locations throughout North America, and the company has performed its service in ten countries including Canada, Mexico, The United Kingdom, Australia, Singapore, New Zealand, Norway, The United Arab Emirates and South Africa. Mr. Sandless, based out of Aston, PA, provides an affordable, revolutionary way to refinish wood floors without the odor, mess, and hassle of traditional sanding methods. Developed by floor specialist and current Mr. Sandless president Daniel Praz, this unique refinishing process uses a non-toxic, odorless finish, and enables customers to have beautiful wood floors in just hours. The company can refinish any type floor, from real wood, pre-finished and engineered board, laminates and even VCT, linoleum, slate, terrazzo, and concrete. Their service has been featured multiple times on HGTV, and highlights of the service can be found on both the company web site and on YouTube. Some of the high profile clients serviced by Mr. Sandless include the Smithsonian Institution in DC and Children's Hospital in Philadelphia. For more information, contact Ryan Johnson of Mr. Sandless Spokane-CDA at 509-891-5000. 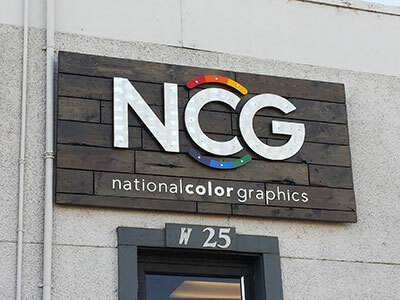 National Color Graphics printing company at 25 West Boone has launched a 'brand refresh' to update their look and improve their communication strategies with customers. The company is now known as NCG Print. They are celebrating their 1 year anniversary of being a G7 Certified Master to provide clients with accurate color. The long time Spokane printing business also opened the doors to a new 10,000+ square-foot expansion and has acquired more equipment to increase their capacity and capabilities. The new website is ncgprint.com. Girl Scouts of Eastern Washington and Northern Idaho announces the Inaugural Craft Beer and Cookie Fest, sponsored by Numerica Credit Union. This 21 and older fundraising event that will take place at the Midtown Bluebird, located at 816 N. 4th Street in Coeur d'Alene, Idaho on Thursday, September 22 from 5 to 7:30pm. Tickets are $15 if reserved in advance and $20 at the door. This includes a tasting mug, four (4) oz. pours, hors d'oeuvres and a box of Girl Scout cookies. Tickets are available through Brown Paper Tickets: BPT.ME/2592389. 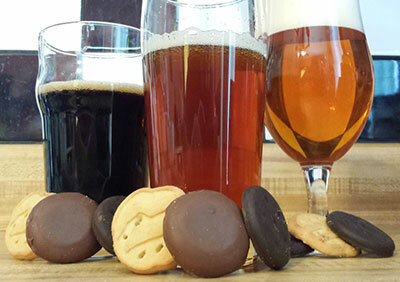 Local breweries will pair their great craft beer with the iconic Girl Scout cookie of their choice to raise funds and awareness for the Girl Scouts. All proceeds from the Inaugural Coeur d'Alene Craft Beer & Cookie Fest will fund scholarships, camperships and leadership programs for girls in the community. Visit www.gsewni.org to learn more about Girl Scouts. The Spokane chapter of Executive Women International (EWI) will host the 69th Leadership Conference and Annual Meeting September 21-24 at the Davenport Grand Hotel. Representatives from 45 EWI chapters nationwide will come to Spokane to participate in valuable career development, business connectivity, and community-focused philanthropy. The public is invited to attend Leadership Day on September 22 to learn from keynote speaker, Mark Sanborn, celebrated author and expert in leadership and teamwork. Following Mark's keynote address, you can attend the Academy of Leadership, a full-day workshop on 'Lessons of Leadership and How to Motivate, Influence, and Lead People to Action,' Presented by Lori Giovannoni. Mark Sanborn's keynote address and Lori Giovannoni's Academy of Leadership workshop are open to the public. Continue the excitement that evening by attending EWI of Spokane's fundraiser, Jazz at the Fox, at 6pm on September 22 at the Fox Theater. Enjoy a fun-filled Champagne Reception, silent auction, raffles, and live music from Jazz Northwest. 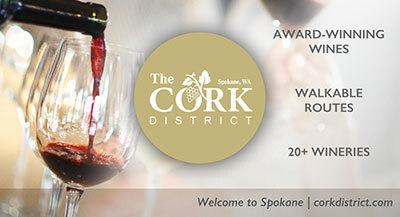 This event is also open to the public and supports the Spokane chapter's annual budget and scholarship programs. You can get more information and register for these events at ewiconnect.com. 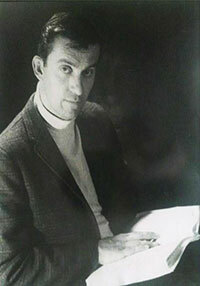 The Spokane Civic Theatre announces the establishment of the Stanley T. Williams 'Go for Your Dreams' scholarship fund. The award, established in memory of Spokanite, Stan Williams, a former dancer, theatre director, educator and mentor to Spokane youth, will grant stipends to Spokane-area children and young adults interested in exploring the theatre arts in the Spokane Civic Theatre Academy program. Stanley T. Williams believed in the power of theatre, music and dance to establish confidence and discipline within young adults. Born in Hillyard, Stan trained as a dancer and, after performing throughout the West Coast, traveled to Europe where he became a star in the Paris cabaret reviews under the eye-catching headline, "Direct from America, Tall, Dark and Dancesome, Stan the Man!" Upon returning to his beloved Spokane, he embraced the theater, directed live plays and musicals, taught theater at Shadle Park Highschool and Spokane Falls Community College, and became a mentor to many, many aspiring actors and performers. He inspired them to think, "what if..." and challenged them to follow their dreams, as he did, as far as their talents and desires could carry. This scholarship recognizes students who might not otherwise be able to attend the academy for financial reasons. Candidates will be nominated by teachers within the academy or by a needs-based application to the program. For more information, contact the Spokane Civic Theatre Academy at 509-325-2507 ext. 406. YWCA Spokane is announcing the launch of the 'Good Guys' - a group of men from Spokane who have joined together to support the YWCA's efforts to end domestic violence. Led by Doug Kelley of Avista and Manny Hochheimer of Numerica Credit Union, one of the group's first activities will include filling at least 10 tables at the YWCA Spokane's 2016 Women of Achievement Impact Luncheon. "Working to end domestic violence cannot be limited to one gender," says Hochheimer. "Our community-of women and men-needs to address this problem that tears at our families and hurts our children." "Our Good Guys group started with an idea a year ago, when I was challenged to put together a men's table for the Women of Achievement luncheon," says Kelley. "As I learned more about how domestic violence is impacting our community and the criticality of the YWCA's work, I knew we had to do more." A new light-hearted video features Hochheimer and Kelley, along with other community leaders, indicating that they 'are in' as a supporter of the YWCA and its work to raise awareness about domestic violence and support its victims. In 2015, 68 people died in Washington State as a result of domestic violence, and one in three women will experience domestic violence in her lifetime. See the video at ywcaspokane.org/good-guys-are-you-in. The YWCA Spokane's 2016 Women of Achievement Award Luncheon will feature actress and advocate for women and children worldwide, Ashley Judd and will be held at the Davenport Grand Hotel on Friday, October 7. Visit ywcaspokane.org. For more information on the Good Guys, email Doug Kelley at doug.kelley@avistacorp.com or Manuel Hochheimer at mhochheimer@numericacu.com. Community leaders, customers and five-time Olympic archer Khatuna Lorig will participate in a ribbon-cutting ceremony for Speedco, a commercial truck service provider, this Thursday, September 15, from 11:30am to 1pm at 10916 W. Westbow Lane in Cheney. Owned and operated by Bridgestone Americas Tire Operations (Bridgestone), Speedco is a provider of on-highway preventative maintenance and tire service to the commercial trucking industry with more than 50 locations across the U.S.
For more information about Speedco, visit www.speedco.com.